We're committed to blogging about every severity 1 or severity 2 incident on GOV.UK. Here's a roundup of 4 incidents that GOV.UK encountered in August 2018. We're committed to blogging about every severity 1 or severity 2 incident on GOV.UK. Here's a roundup of 4 incidents that GOV.UK encountered between June and July 2018. We encountered 2 incidents affecting our analytics data in February 2018. This post shows how we responded to them. 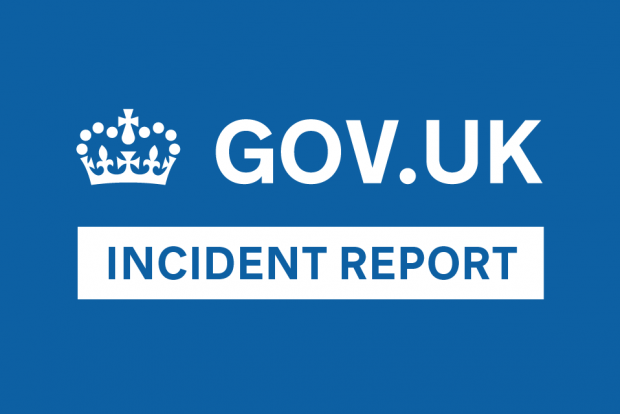 We're committed to blogging about every severity 1 or severity 2 incident on GOV.UK. Here's a roundup of 5 incidents that GOV.UK encountered between March and May 2018. This post outlines a recent production issue on GOV.UK and how it was resolved. We’ve blogged in the past about what happens when things go wrong on GOV.UK, and also how we categorise and prioritise incidents.